Love it or hate it, the Boss DS-1 Distortion pedal is one of the most popular pedals of all time. Many guitarists have owned one or two (or 20) throughout their years of playing. With its low price tag and iconic appearance, this ubiquitous orange dirt box has been a bestseller for almost 40 years. But with so many boutique distortions available, it’s also easily one of the most maligned pedals. Pairing nasally highs with unfocused lows and not offering much in the way of volume, there aren’t many usable settings for the DS-1 out of the box. The good news is that you don’t have to settle for that stock tone, as the internet is jam-packed with mods to improve this pedal. 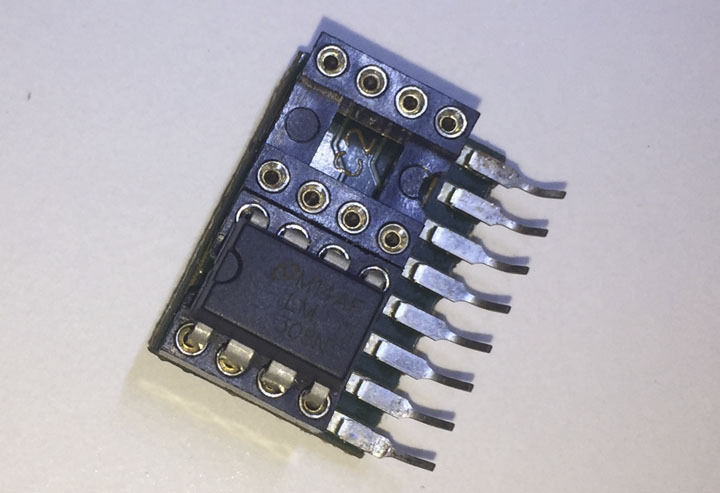 One of the best ways to personalize your DS-1 is to trade out the cheap integrated circuit for a higher quality IC. 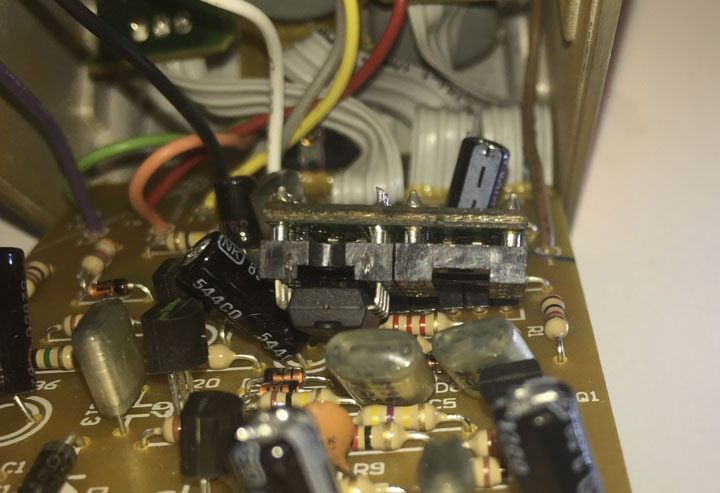 To help future modders of the world, we thought it would be a good idea to get some common replacement op amps, plug them into the DS-1’s circuit, and record how they sound. Have a listen below and see which one you think will take your sound to the next level. Skip ahead to hear mod samples in action. I commend you on getting this far if you have no idea what an op amp is. Basically, an operational amplifier (op amp) is a type of IC: a small pre-packaged circuit designed for a specific purpose. In the case of an op amp, the purpose is to amplify voltage. In other words, it brings the teeny-tiny electrical signal coming from your guitar up to a certain voltage level. This boosted signal then hits a variable resistor controlled by the distortion dial, which basically sets the limit for when your guitar's signal begins to clip. Turning up the distortion means more clipping, which means a harsher tone. By using different op amps in the same circuit, we can change the way that the signal is boosted before it reaches this vital clipping stage, which can drastically alter the timbre of the distortion. A stock op amp from a friend’s Made in Taiwan (MIT) DS-1. First, I located the stock op amp in the circuit, desoldered it from the PCB, and removed it. I put the socket extenders from the kit into the open PCB holes, which allowed me to remove the additional PCB without having to solder and desolder every single time. Just make sure that the extra PCB is facing the same direction as the writing on the op amp you removed to ensure that the new chips function correctly. The socket extenders soldered into my PCB. Once I soldered the 8-pin socket extenders onto the PCB, I was free to swap chips at will. 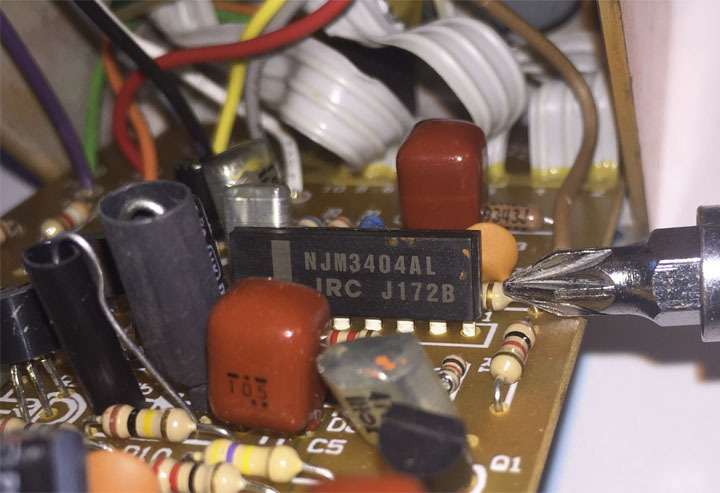 You can usually locate individual or bulk chips with a quick search of their model number on Reverb. An electronics site will carry them as well, but you have to make sure that you’re buying the proper configuration to work with this mod. Usually, they’ll have a divot or dot that should be facing the top of the PCB for proper alignment. 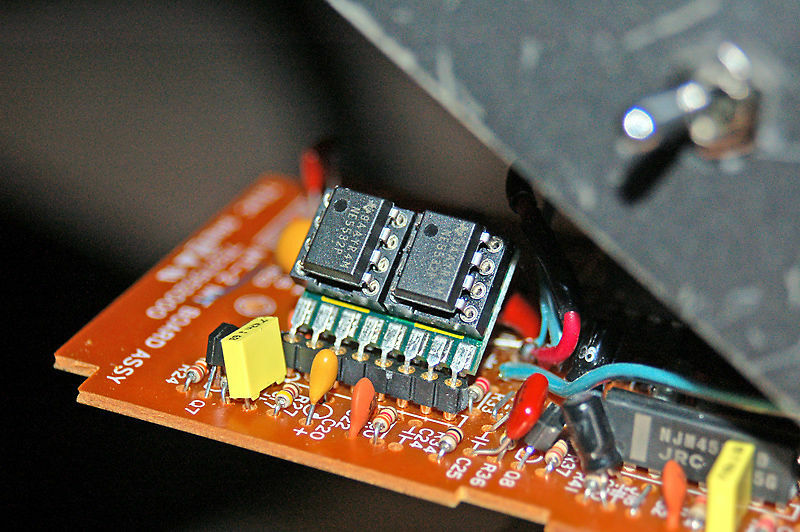 The Dual Stack Adapter PCB outside of the pedal with an LM308N chip in the first position. Aside from making sure that the included PCB will fit within the pedal enclosure (which is as simple as curving the extension legs coming off the PCB and bending a few capacitors out of the way), there’s really nothing tricky about installing this mod. As its name implies, you’re also able to double-stack op amps to generate twice as much boost ahead of the clipping stage, which can turn this unassuming orange pedal into your new secret weapon. With double-stacked chips, the power usage of your pedal can increase drastically, so it’s a good idea to use a reliable wall wart or isolated power supply that can give it a consistent 100 mA of current… unless you enjoy constantly replacing 9V batteries. The Double Stack Adapter installed in the pedal. Now you’re ready to rock. Alternatively, if you’d like to save a little money and you only plan on going with a solo op amp, you can solder it straight onto the board. First, solder four wires to the individual pins on the right hand side of your chip. You can’t make these wires too long to start, since you can always cut off extra slack later. Now, take the four legs on the left side and bend them out straight from the IC as best you can. Take these four straightened legs and solder them into the first four holes (left to right) where the old op amp was—the leg closest to the divot or dot should be in the first hole. 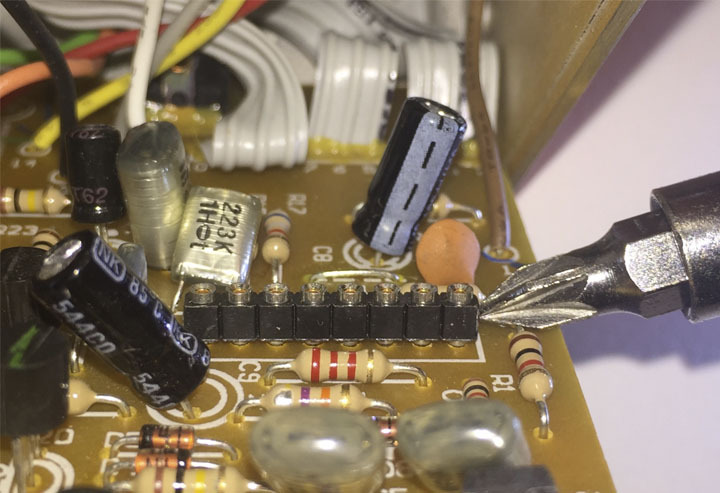 Take the wires from the other side of the chip and work counter-clockwise: Solder the first wire (on the right hand side farthest away from the divot) into the fifth hole from the old op amp. Solder the second wire (one closer to the divot on the right hand side) into the sixth hole, and so on. This way is not as pretty, but it will get the job done and save you a little off the mod kit. It may be a good idea to wrap it in electrical tape, both to hide the janky appearance and to prevent the exposed op amp legs from accidentally grounding out. I wanted to make these demos as consistent as possible, so here’s what I did: I set up a dynamic mic (SM57) as close to the cone of my Fender Twin as possible. I then set a condenser mic (MXL V63M) about a foot behind that to capture a little room tone. To let you know what I was working with, I recorded a sample of my amp’s unaffected tone. I also wanted to give a sense of the DS-1’s stock M5223AL chip before I fiddled about inside the pedal. I started with the volume near unity with the tone and distortion at noon. Then I turned up the tone to 3 and immediately got into the grating territory that makes this pedal so unpalatable to some. After that, I turned the distortion up to 3, which turned the whole thing into a hissing mess. Editorializing aside, here’s what my brief sonic tour of the stock pedal sounded like. I followed the same pattern described above for all the replacement chips: I started with tone and distortion at noon, moved the tone up to three, then moved the distortion up to three as well. The only exception was for the Tube Screamer-style chips (RC4558P, RC4559P, JRC4558D, JRC4558DD, and OPA2134PA), where I recorded a fourth clip with the tone back at noon and the distortion all the way down to 9 o’clock. It just didn’t seem fair to ask these chips to be something they weren’t, and easing off on them usually produced better sonic results. Before we go blowing the doors off with double chips, I thought it would be only fair to compare the tamer sounds of single chips against the DS-1. The sounds are mellower, which definitely benefits some of the Tube Screamer-style chips, but even in the more distortion-voiced varieties the mellower sound can be appealing. OK, enough with the tame stuff. If you want to turn your $50 distortion pedal into a weapon of sonic annihilation, then you gotta double up on op amps. Not surprisingly, Tube Screamer chips lose definition almost as soon as you turn the tone or distortion past noon. The distortion chips definitely do better, some even getting close to that coveted JCM 800 tone. Hopefully, these samples give you a taste of how you can change the sound of your own DS-1 to better suit your playing style. Don’t be afraid to take your tone into your own hands, especially with a low-risk, high-reward mod like this one.